If you're craving a delicious frozen dessert without loads of sugar, we've got you covered! 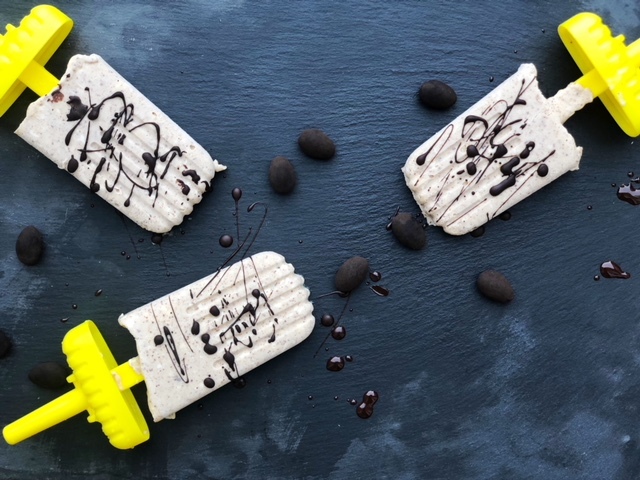 These Keto-friendly almond butter and cream cheese popsicles are made with our plain whipped cream cheese, almond butter, heavy cream and a drizzle of dark chocolate. Sure to satisfy your sweet craving without spiking your blood sugar! 1) In a mixing bowl, blender, or mixer, blend all ingredients for popsicles until smooth. 2) Fill molds 3/4 way with mixture and freeze overnight, or for at least 4 hours. 3) Let stand at room temperature for ten minutes before removing from molds. 3) Before serving, drizzle Popsicles with melted dark chocolate.